The Challenge & Reward — "Te Heke"
The fee for each member of the relay team is $39, whether you have 2 members in it or 5. 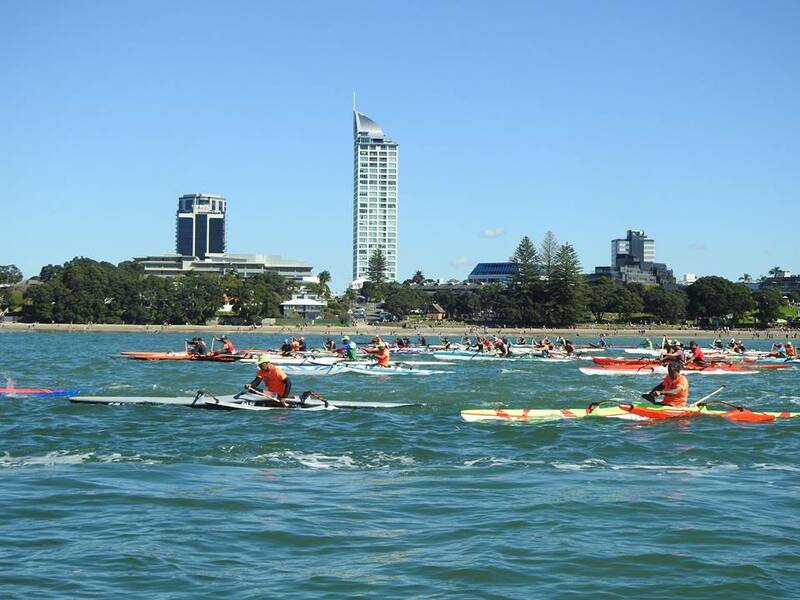 Additional to this fee will be a transportation charge for your race craft from Waiheke back to Maraetai on the mainland of $85 on the day after the race. You are exempt from this charge if you are making your own arrangements. There are 2 challenges for any team. The first, that applies to all teams, is to complete the 56 km circumnavigation of the island within the 6.25 hour cutoff period in the midst of our New Zealand summer. (For our novice teams and Stand Up Paddlers, you will be given 8 hours to complete this task.) The second, which pertains to the skilled and more prepared teams, is to beat Tupu and his teammate. Of course this will be easier if you are in a 4 man relay team of experienced fit paddlers, and more difficult if you are in a 2 man relay team. You may try and do this on your OC1 canoe or your V1 rudderless waka which they will also be paddling. There will be a cash reward for the first team in the V1 class 2 man team, the first in the V1 3 man team, the first in the V1 4 man team and the first in the OC1 2 man team to beat Tupu's 2 man team in the circumnavigation of the island. The 2 man team will receive $600, the 3 man team will receive $400 and the 4 man team will receive $200. If an OC1 (ruddered outrigger) 2 man team beat Tupu, they will receive a cash prize of $300. Only the first team in each category to achieve this will receive these prizes. Please see the rules regarding boat wake riding.